You may be tempted to run out and sign up for a credit monitoring service following news last week of a massive data breach at Equifax, a hack that potentially exposed the sensitive information of 143 million consumers. Identity theft protection is about a $3 billion business in the U.S., according to market research firm IBISWorld. Many firms offer basic credit monitoring for about $10 a month — which may seem like bargain for protection and peace of mind. But some experts recommend saving your money by doing something that’s potentially even more effective: freezing your credit on your own. Credit monitoring services protect you by keeping tabs on your credit reports at the three major credit reporting agencies — Equifax, Experian, and TransUnion — and alerting you to any changes in activity that could indicate possible fraud. For example, if you get an alert that there’s a new credit card application on your file —— but you didn’t apply yourself — then that signals that a fraudster could be applying for a card in your name. Monitoring is reactive, says John Ulzheimer, a credit expert formerly of FICO and Equifax. “It tells you, ‘By the way, your arm is broken,’” he says. Freezing your credit, by contrast, is proactive. Monitoring also requires subscription services that typically far exceed the costs of implementing a credit freeze on your own. Equifax is offering free credit monitoring to all Americans in the wake of the breach. But there has been considerable confusion about what it means to sign up for the program, TrustedID Premier, based on language on the company’s website. Late last week, concerns arose that signing up could potentially mean waiving your rights to sue the company or participate in a class action suit. 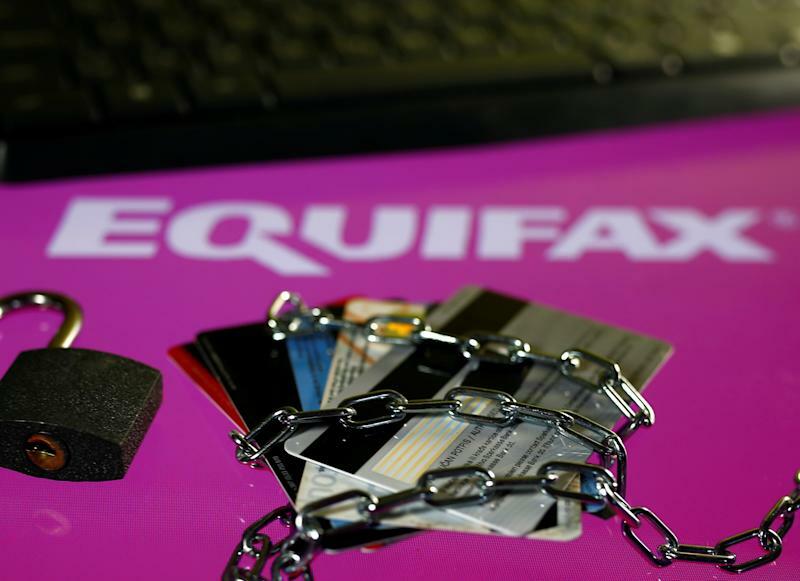 On Monday, Equifax tried to clarify the issue on its site by adding a Frequently Asked Questions page stating that consumers who sign up for credit file monitoring and identity theft protection will not waive their rights to take legal action. Depending on your state, you may have to pay a nominal fee to freeze and unfreeze your report. Consumers pay nothing to institute a freeze in New York, while in Georgia they pay $3 per bureau, for example. There should be no activity on your credit reports following a freeze. But if a freeze doesn’t make sense for you — say, you’re actively shopping for a mortgage — then you can monitor your report on your own. And even if you do institute a freeze, it’s a good idea to check your reports occasionally for irregularities. Federal law requires that all three major credit-reporting companies provide you with a free copy of your credit report every year. The prevailing wisdom used to be to stagger your requests so you could monitor your credit report for free once every four months. These days, the rise of personal finance firms such as Credit Karma and Credit Sesame means that you can get a free credit report pretty much any time you want one, Ulzheimer says. Credit Karma offers free credit scores, reports and monitoring for consumers and makes loan recommendations based on their profiles; the firm makes money when a consumer signs up for a recommended product. It takes a little bit of work to monitor your reports, but not that much when you really think about it. “We don’t think anything of visiting Facebook or Instagram 10 times a day,” says Matt Schulz, senior industry analyst at Creditcards.com. That firm offers free, continuous access to your TransUnion credit report via web site or app, and while it’s important to periodically check your reports from all three bureaus, regularly monitoring one should alert you to big problems. Credit monitoring, whether DIY or paid, doesn’t capture certain kinds of fraud. For example, it won’t tell you when someone has filed a tax return and claimed a refund in your name. The only way you’ll find that out is when you go to file your legitimate return and the Internal Revenue Service rejects it, saying it already got one from you. Another type of fraud that generally isn’t captured by credit monitoring is conducted through payday lending and pawn shops, Ulzheimer says. You generally find out if someone took one of these out in your name when you get a call from a debt collector. Lastly, medical insurance fraud doesn’t go through credit channels. This is when someone accesses medical services after obtaining your insurance information. You would find out about those when you get an explanation of benefits from your carrier for a service you never received. All lenders and insurance companies have processes in place to handle fraud and abuse, Ulzheimer says. You will have to fill out plenty of paperwork, but it’s generally a process that you can handle yourself without hiring an attorney. That should be a last resort if your own efforts aren’t successful, Ulzheimer notes. Some credit monitoring services also offer recovery services — that is, help cleaning up the mess after your identity has been stolen. The quality of these services varies widely, according to a March report by the Government Accountability Office (GAO). Some firms offer hands-on assistance from specialized agents, while others do little more than field a call center where consumers are directed how to do it themselves. The Federal Trade Commission offers detailed instructions on how to recover from identity theft at IdentityTheft.gov. Another possibly tempting service is identity theft insurance. But here’s the rub: identity theft generally doesn’t cost victims that much in monetary terms. The Bureau of Justice Statistics reported that in 2014, 5% of all ID theft victims reported indirect losses such as legal fees, postage, notary fees, with the average loss being $261, according to the GAO report. The real damage from identity theft is the considerable time and energy it takes to recover, and no amount of money in the world can buy those back for you.